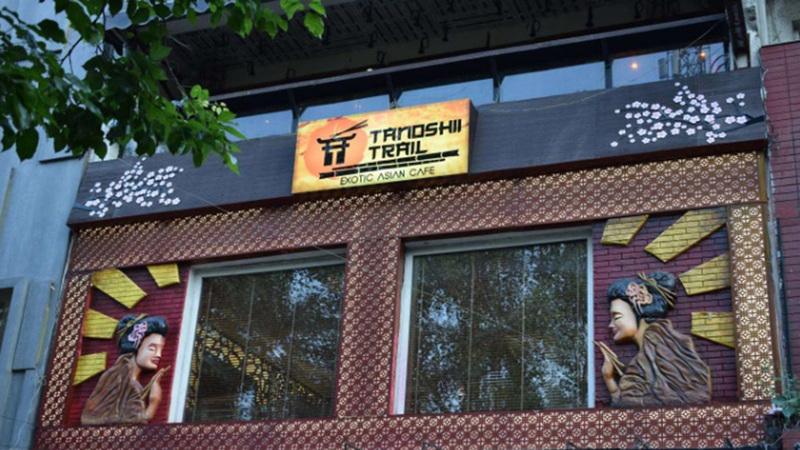 In an exclusive interaction with Restaurant India, Gaurav Dhariwal, Owner, Tanoshii Trail talks about the national and international food market and his contribution towards revamping of the food industry. How did food happen to you? Having invested in lots of divisions in the retail segment, I always dreamt about contributing to the food industry with my effort and talent. I believe food can win anyone’s heart any time. Food has the ability to play with our senses which eventually creates a feeling of curiosity towards a particular product or item. I wanted other people to feel the same attraction towards food such as myself from a venture owned completely by me built with my creativity. How did the idea of starting your own venture strike you? We as a company have already invested in various kinds of retail, online and real estate divisions. Hospitality industry was one segment left completely untouched and also wanted to do something in this segment. Fond of trying new cuisines in the market, I wanted to create a place where something different would be served coming along with great quality. After evaluating the current trend happening in the industry, I was pretty sure that this is the perfect time to try my luck. That is how things happened. Enlighten us on your planning and strategy. I wanted to showcase my sheer love for Pan Asian cuisines to people. Catering experience with taste was always my strategy. Knowing the constantly changing trends in our food market, I wanted to focus more on catering experience while establishing a beautiful venture. What is the difference between Hong Kong and Indian food industry? People in Hong Kong constantly look out for new and variant cuisines and have also evolved a lot in terms of taste by leaving behind their comfort zone. Previously, Indian market was slow in this but is now changing drastically as people are getting more experimentative. The passion for spending more to have a good experience is boosting our morale. What were the various challenges that came your way? Understanding the Indian market was one of the major challenges as things were completely different in comparison to that of Hong Kong for me. It took a lot of time to understand the revolution Indian industry was going through as I wasn’t ready to commit a mistake. Other challenges include licenses and man power. We have eliminated almost all sorts of challenges with time, learning and understanding the local market. We believe in catering to people of all age groups. In fact, our venture witnesses almost people of every age groups whether they are children or elderly. Kitty parties and couples coming in and spending time can be seen more often. I personally want to provide every kind of people the experience which I want to share with them. The quality of food we serve at is our USP. We are constantly catering authentic quality of foods rather than an average one for enhancing the food quality. Meeting customers’ expectation is our prime motive which is working beautifully for us. Definitely yes. We are planning towards taking this project to a chain level covering more than one city at a time. Our idea is to expand pan India eliminating every hurdle at a single time.